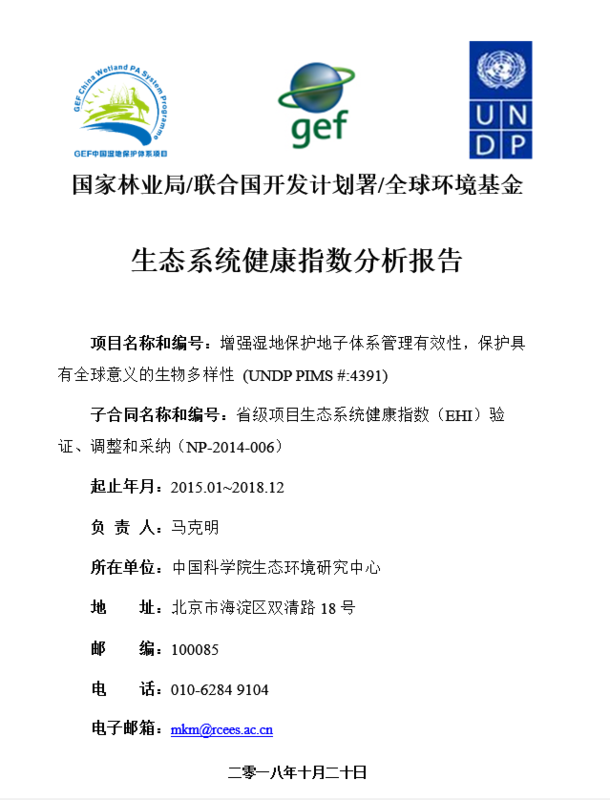 Based on EHI monitoring values at the provincial level, the health status of the wetland ecosystem at the national level were quantitatively evaluated and analysed at the beginning, middle and end of the project. In order to maintain the consistency of the judgment criteria and methods, the EHI rating sheets used at the start of the project were still used in the evaluation at the middle and end of the project. It can be seen from the evaluation results that all the provinces, except Jiangxi, have achieved the expected target, especially the overfulfilment of 20% in Da Hinggan Mountains and Hubei. It shows that the ecosystem health status of each demonstration sites have been improved obviously during the implementation of this project. 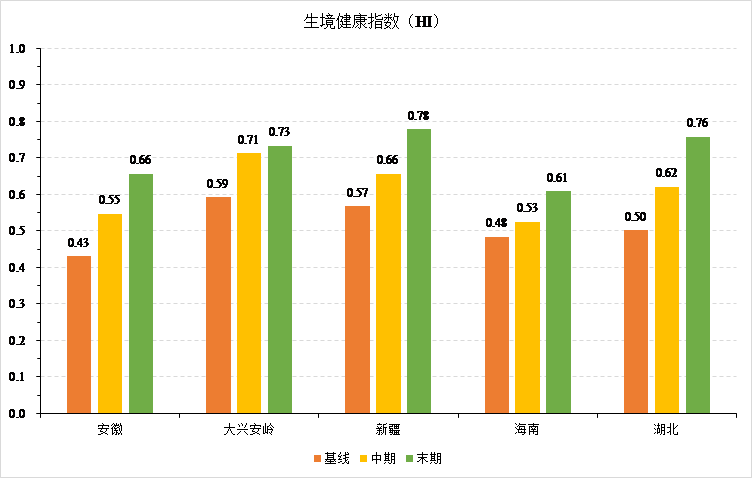 The health index of all provinces increased by more than 20%, among which Anhui and Hubei increased by 50%. The species health index in all provinces was greatly increased (about 30% or more), especially in Hubei, which increased by 63.21%. In each province, the macro environmental health index increased by more than 20%, especially in Anhui and Hubei province, which increased by more than 70%.